BiomedicInsure is an insurance broker dedicated to medication and other healthcare products companies. Today, the pharmaceutical industry is undergoing deep changes. It is searching for new models of development, organisation and marketing for its products and healthcare services. In this changing environment, our team brings our customers its experience, know-how and high innovation potential. Developing, producing and marketing healthcare products presents specific risks. Our objective is to build with you a "Risk Management and Insurance" strategy to cover all your risk exposures and financially secure your business. 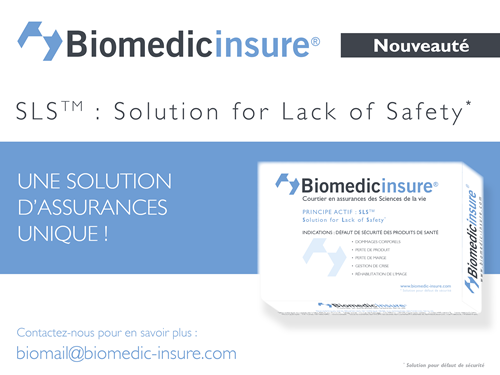 For more than 20 years, our customers in France and abroad trust BiomedicInsure risk management specialists. and widely cover their risks including biomedical research (clinical trials).